Our MSF RiderCoach annual conference has been being held in conjunction with the AIMExpo....and I was able to attend this year since it was in Vegas. Figured I'd post a couple of cool bikes we spied while there. This was the 135cc, I think it was, by Benelli. Indians have done nothing for me...til now. The recently-announced FTR 1200. It's pretty sweet. The speedo (and bluetooth connections) is pretty sweet. It's part of the $14K FTR version. Cool colors on the new Strom. Yamaha Tracer! Comfortable, too! I can say I had not heard of it til I went to the show. Monstrosity. The front end fairings are HUGE! The Niken. And the back of Ralph Sheheen as we walked into the Expo. We followed him..I mean...He walked up to Jeff Emig at the conference center. These are the only pics I took. Should have taken more. THe AIMExpo is IMS on steroids, so it was fun. Next year it is in Columbus, OH, for those of you so inclined. Test riding bikes since 2004. If loud pipes save lives, imagine what learning to RIDE that thing will do! When I saw the title my first thought was Advanced Idea Mechanics from Marvel...they had expositions mirroring the Stark Expo. 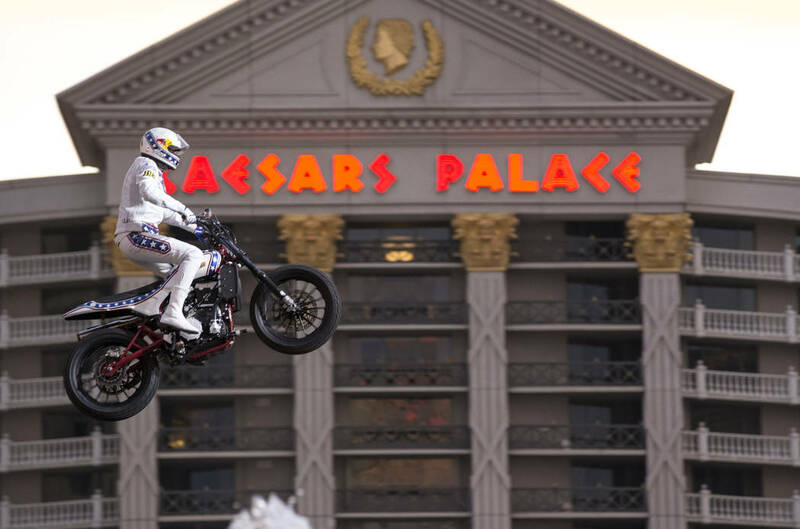 Travis Pastrana did some pretty impressive stuff here in Vegas honoring the late Evel Knievel utilizing the smaller FTR in a trio of same-day jumps. Those jump pics...and the theme behind it...are cool! Travis Pastrana has that centrifugal force thing figured out pretty good from riding sand dues and occasionally landing on stuff. Computers and lasers to design & align the ramps along with determining optimum speeds for any/all weather conditions? Back in Evel's day he practically just threw some ramps together, twisted the throttle, and hoped for the best. Yeah, you're most likely correct. And we saw the results of that "hoping for the best" quite a bit, didn't we? Didn't the man hold some sort of record for most broken bones or something? 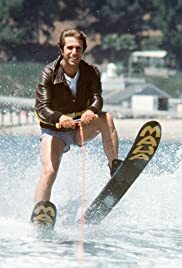 It seemed to me that all he did was crash (obviously, if he didn't crash, it didn't make the news so I didn't get to see the successful jumps), or fail to make it over the obstacle (i.e., the Snake River Canyon jump).